How Lady Gaga and Glenn Close tied at the Critics Choice Awards. 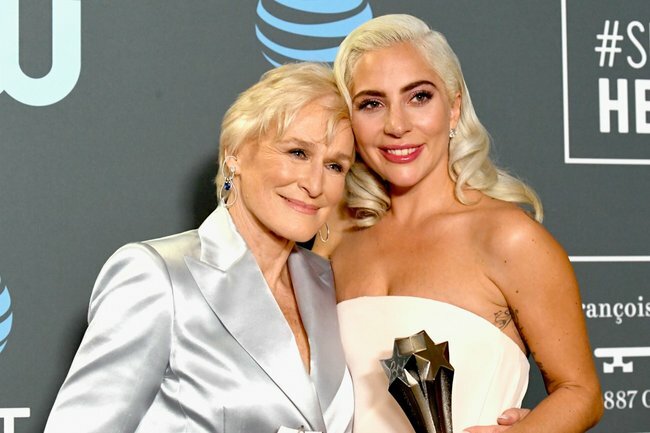 Lady Gaga and Glenn Close BOTH just won Best Actress at the Critics' Choice Awards. 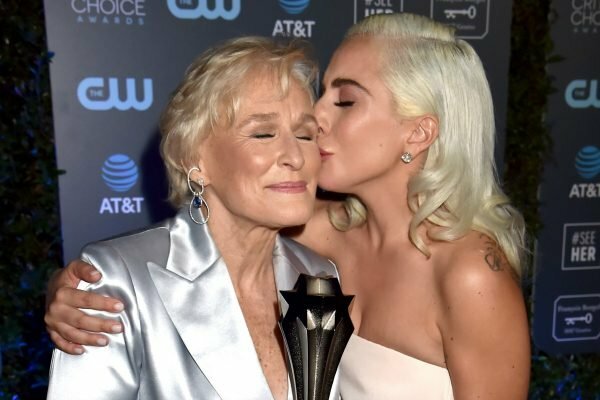 Lady Gaga and Glenn Close have both accepted the award for Best Actress at the 2019 Critics’ Choice Awards. In an interesting turn of events, the two actresses tied in the category with Gaga taking home the award for A Star Is Born and Close winning the award for The Wife. Taking the stage to accept her award first, Close told the audience that she was “thrilled” to be tied with Gaga. 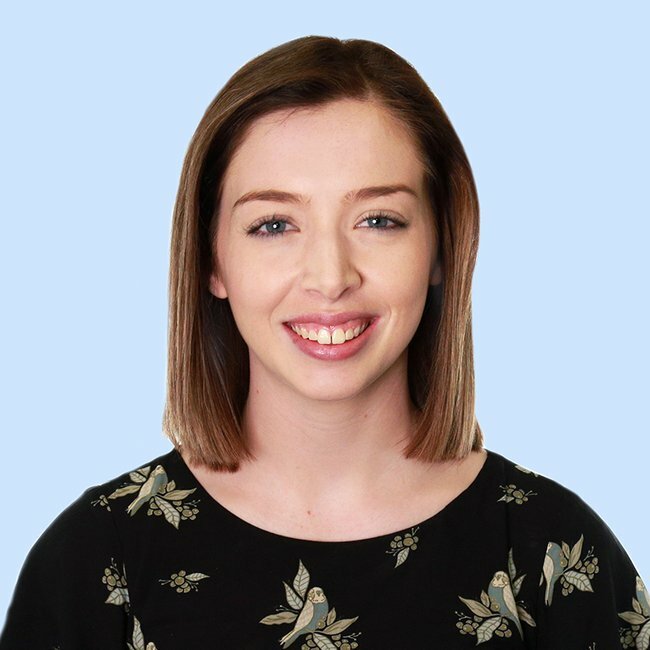 “I was thinking that the world kind of pits us against each other in this profession, and I know from all the women in this category – and I think I can speak for all of the women in this room – we celebrate each other!” the 71-year-old said. Accepting her award after Close, Gaga admitted to the audience that her own mother is close friends with the actress. “I am so very happy that you won this this evening… I am so honoured by this. I went to places in my mind and in my heart that I did not know existed or that I could,” the 32-year-old performer said. Lady Gaga and Glenn Close tied in the Best Actress category. Image: Getty. Gaga also thanked her fiancé Christian Carino and her A Star Is Born director and co-star Bradley Cooper in her speech. "Bradley, you are a magical filmmaker and you are just as magical of a human being," the actress said. "I have never had an experience with a director or an actor like I had with you and I will cherish it forever." Surprisingly, Gaga and Close weren&apos;t the only stars to tie on the night. Amy Adams and Patricia Arquette also both took home the award for Best Actress in a television film or limited series. While Adams won for series Sharp Objects, Arquette won for mini series Escape at Dannemora. Amy Adams and Patricia Arquette also tied at the event. Image: Getty. This isn&apos;t actually the first time that there has been a tie at the Critics&apos; Choice Awards. In 2009, both Meryl Streep and Anne Hathaway took home the award for Best Actress. And in 2003, Jack Nicholson and Daniel Day-Lewis tied in the Best Actor category. The nomination process for the Critics&apos; Choice Awards is slightly different compared to other awards, meaning that it&apos;s possible for award winners to tie in their category. To decide on the nominees for the awards, members of the Broadcast Film Critics Association (BFCA) submit written ballots. After the nominations have been finalised, members then vote on a winner out of the nominees. As the awards don&apos;t currently have a tie-breaker policy, it&apos;s possible for two actors to receive the same award if they receive an equal amount of votes from the BFCA.